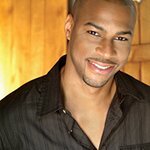 From BET’s “Comic View” to “The Tyra Banks Show” from “Comedy Central Presents…” to the “Today Show”, Finesse Mitchell got his big break when he was asked to be a feature player on NBC’s “Saturday Night Live” and was promoted to cast member in 2005. Long before becoming a regular on SNL, this author, actor and former insurance salesman made an impact in the world of stand-up comedy, with sold-out live performances all over the country and abroad. Born and raised in Atlanta, Georgia, Finesse graduated from the University of Miami. A former student-athlete who was a walk-on for the Hurricanes football team, Finesse played with other UM alumni such as Dwayne “The Rock” Johnson and Warren Sapp. Google trends for "Finesse Mitchell"
We don't have any videos related to Finesse Mitchell.